Before continuing with the chronological description of the systems development methodology it is necessary to step aside and look at some of the techniques that the systems analyst will be using. 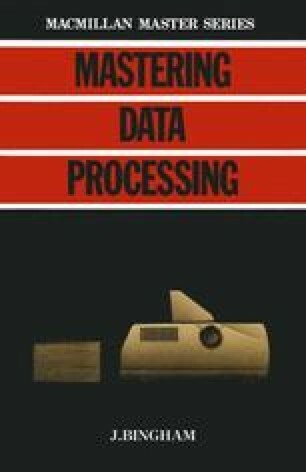 In this work the data processing practitioner will make use of a number of different techniques. Some of these are highly complex, but others are essentially formalised approaches to everyday activities. In this chapter some of the most widely used techniques will be outlined.